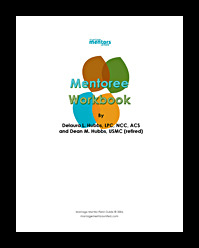 The Mentoree Workbook is a collection of information to help the Mentoree Couple prepare for and get the most out of their Mentoring experience. It includes essential information necessary for them to communicate and prepare themselves as Mentorees as well as a handy place to put completed exercises, forms and other information you receive from your Mentors. As a member and Mentor Couple, you may wish to purchase the workbook for your Mentorees OR direct them to this page to purchase the workbook themselves. There's no need to order two copies per couple. One is sufficient for a couple to share. COST: $20.00 + shipping & handling.